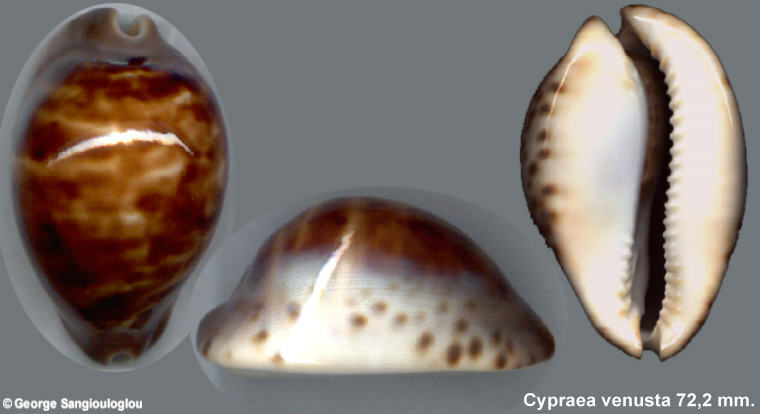 Cypraea venusta venusta 72,2 mm. Is most unusual in its color form for the Albany area. at the canals with small brown spots, dorsum almost uniform brown.